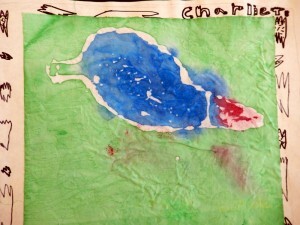 As part of their study on Maine pond life, third graders chose an animal to study. 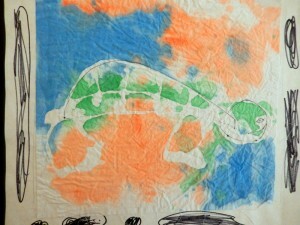 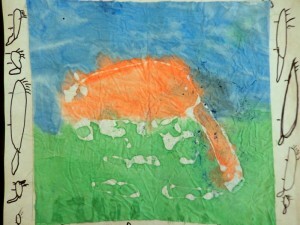 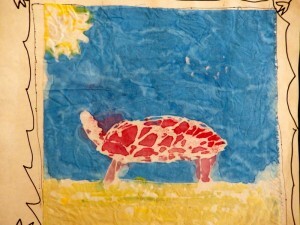 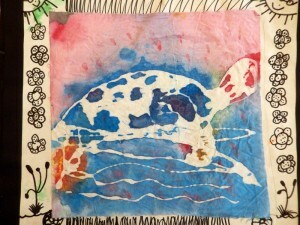 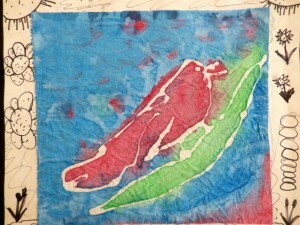 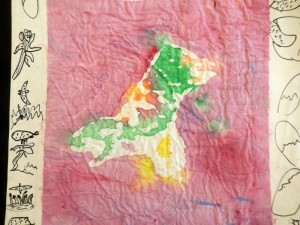 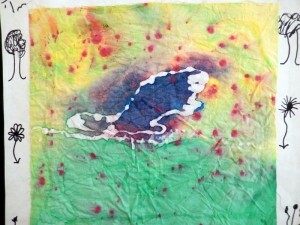 They drew their animal in its habitat, then placed it under cotton cloth, and traced their picture with white glue. 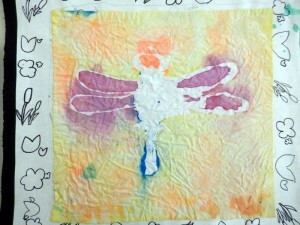 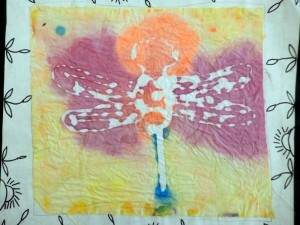 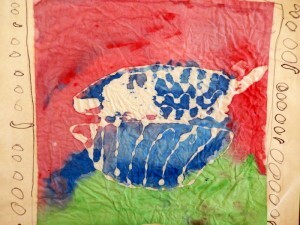 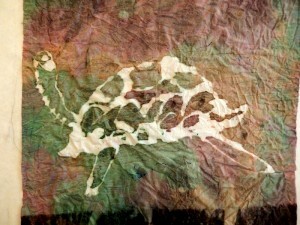 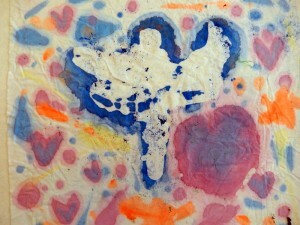 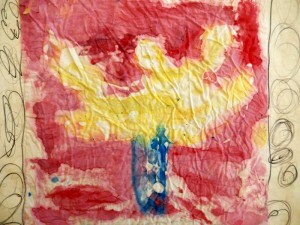 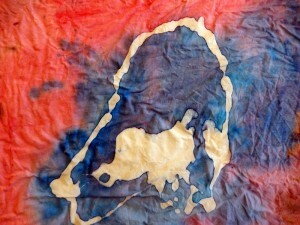 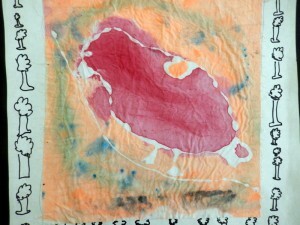 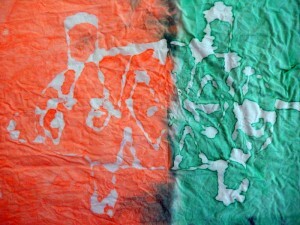 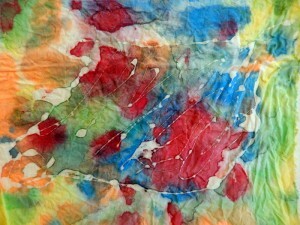 Once the glue was dry, they painted the entire cloth with watered-down acrylic paint. 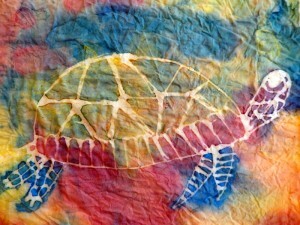 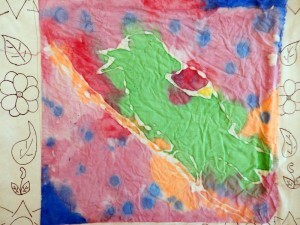 After a few days of soaking out the glue, they were left with beautiful batiks, which are traditionally made with hot wax.